With only one sail on Principia, I spent the rest of the season sailing other people’s boats. Never moving from its mooring, Principia became prime real estate for all sorts of saltwater critters. 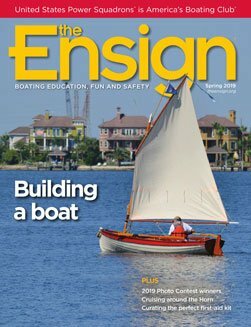 When the new mainsail finally arrived in late September, I rushed to try it out. Unfortunately, Principia would hardly move in a moderate breeze with full sail and lots of engine because of the barnacles and seaweed attached to it. When Principia was hauled, the bottom was indeed disgraceful, and the propeller was so badly fouled with sea creatures that it looked more like a soccer ball than a prop. No wonder the boat had shuddered when I opened up the throttle and scarcely made enough way to get back to the mooring. If the first couple of outings this season are any indication, Principia doesn’t seem to be harboring any grudge. The day after launch, I put five gallons of gasoline in the fuel tank, and the old Atomic 4 engine roared to life with the first touch of the ignition key. After an oil change, I bent on the sails and went sailing. The sails—good, solid, no-nonsense Dacron—are meant for cruising and function beautifully. What a delight to promenade with the bottom clean as a whistle and a brand-new suit of sails! Squadron members Franz Alvarez, Amy Hawley and Chris DeStefano were aboard Principia for one Sunday outing. The wind out of the southeast averaged 15 knots or so, ideal for sailing out of Barron’s Marine. We flew northeast to Execution Rocks Lighthouse on a close reach, rounded the lighthouse and flew back in the opposite direction even faster, going on to Throgs Neck Bridge before turning back toward home. We enjoyed the special variety of salty camaraderie only a crew full of experienced sailors can share, and the fast, blustery sailing action was what we all craved. Everybody’s sea stories had us laughing and talking the whole time. Under new sails and minus the marine jungle growing below the waterline, Principia seemed airborne. Even close-hauled, the boat flew right along, with just a modest reef in the roller jib, hardly heeling at all, standing up stiff, tall and speedy like I’ve never seen before. The engine wouldn’t start when we got back near the mooring, but with three good sailors aboard, catching the mooring under sail was a small thing. The crew happily went ashore while I stayed back to have a look at the iron monster below. The engine smelled of gasoline. After opening the foredeck hatch and letting the blower run awhile, I fiddled with it and got it running again. The carburetor had seeped, perhaps flooding the engine. Pumping the throttle a couple of times while turning the starter over did the trick. Maybe it was a sticky carburetor float valve. It doesn’t leak or smell of gas with the main fuel tank petcock turned off, and the problem is only intermittent, but of course the smell of gasoline should always be taken seriously. Taking the carburetor off and inspecting it is a real pain in the tiny engine compartment, but it will have to come off next time I’m on the boat. Strangely, I’m not annoyed. The boat just sails so sweetly. 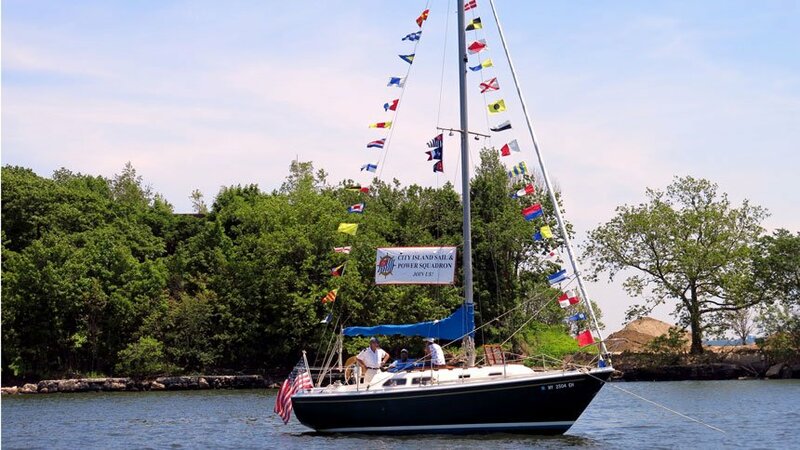 Jeffrey Taylor, a member of New York’s City Island Sail & Power Squadron, is a licensed Merchant Marine Captain and an avid recreational sailor and racer. He has cruised and raced on Long Island Sound for over 20 years and has made several blue water passages to and from the West Indies.